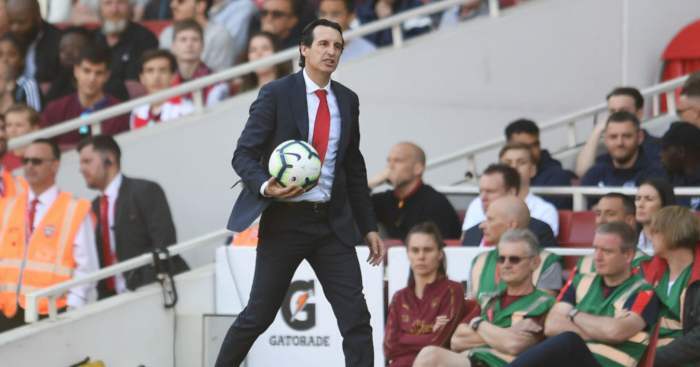 With the exception of giving young players opportunities, he seems determined to use an approach that is antithetical to the approach used by Arsene Wenger. This has lead to two major problems. Firstly, I’m all for tactical and formation flexibility, but Unai Emery seems to be far too excessive in this area. Every game seems to start with a different formation and different tactics, and every game seems to involve at least one mid game tactical/formation change, often more. Adapting your approach to counter the opposition strengths or expose the opposition weaknesses is not a bad thing, but doing it excessively can also hinder the continuity and fluency of our own game, and this seems to be the case. This can be best highlighted in the away game against Brighton when Alex Iwobi could clearly be seen asking Granit Xhaka “what formation are we playing?” after he was introduced at half time. I mean, what the actual f**k? That shouldn’t be seen on a Sunday morning pitch! Secondly, and I think this could be a hangover of his tenure at PSG, but he is clearly determined to assert his authority on the squad and show that no player, regardless of status will be indulged. This has lead to the marginalisation of both Aaron Ramsey and Mesut Ozil, two of our most talented attacking players. We subsequently look like a team seriously lacking in creativity. Is this the equivalent of Brian Clough at Leeds Utd trying to change too much too quickly? He seems to value obedience and hard work above individuality and talent. I saw through the long unbeaten run, where we often flattered to deceive and won through a combination of kind fixtures, profligate finishing from our opponents, clinical finishing from our own players and a large slice of luck. I’m not going to start calling for his head just yet, but I also think the media narrative that he is doing a good job, and has inherited a complete mess from Arsene Wenger is very wide of the mark. Yes, there was a job to do following Arsene Wenger, I accept that, but he simply isn’t doing that job very well and much of that is down to his own errors. Funny that. When that still-unemployed gasbag Wenger was failing year after year, we heard you “cannot compete with oil money”. Oh but wait – after six months and no investment, you suddenly can? Who knew! Arsenal? Zero. None. And here’s the funny bit: Emery turned up to a club with a wage bill higher than Spurs and Liverpool, and super-close to Chelski’s! Now tell me, which inept buffoon stuffed the Arsenal wage bill with such dross (Jenkinson on £60k p/w anyone?) over a 10-year period, making it impossible to get rid of them? Yes, it’s the equivalent of having Messi and Bergkamp sitting there and not bringing them on. That would be the same Ozil who has never scored or assisted a goal away to one of the big 4 in his entire time in England. The same Ozil that had 12 months left on his contract and had just one offer, from powerhouses Fenerbache (currently mid-table in Turkey). 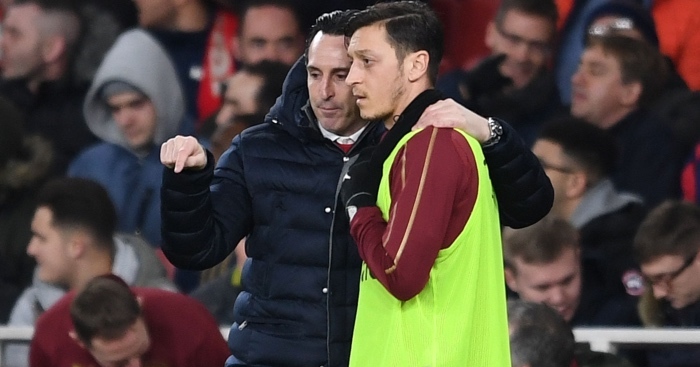 The same Ozil who has had more broken fingernails and traumatic manicures leading to injury than any player of the past decade. He makes Darren Anderton look like Mr T. Or the same Ramsey who you guessed it, has not scored or assisted away at one of the big 4 in over 5 years, and the same duo who were first-team regulars last season as Arsenal finished 38 points behind Citeh. “I do not see any improvement”. This one is possibly my favourite! The Arsenal job is a “big job”? Funny that. I can remember this “demanding club” where a manager lost 8-2 at Old Trafford, 10-2 at Bayern, in the same season lost 5-1 Anfield, then 6-3 at Citeh, then 6-0 at Stamford Bridge and then 3-0 at Everton…and got a new contract! I also remember no PL title challenges for 14 seasons and never a murmur of discontent. Yeah I could imagine clubs like Madrid, Barca and Juve being cool with that LOL. Unai Emery has won more European titles in a single season at Sevilla than Arsenal (aka Wenger) have managed in 20 years. To push that further, Emery has more European trophies than Arsenal FC has in its entire history! So a group of fans who were cool with a Specialist in Failure spending 14 seasons mailing it in, and who never stood a chance in Europe – are suddenly telling a man with more European trophies than their entire club that the “job is too big for him”?! Hahahaha. Good one! Does someone wanna tell Denzel Washington the Butlin’s summer play os beyond his know-how? 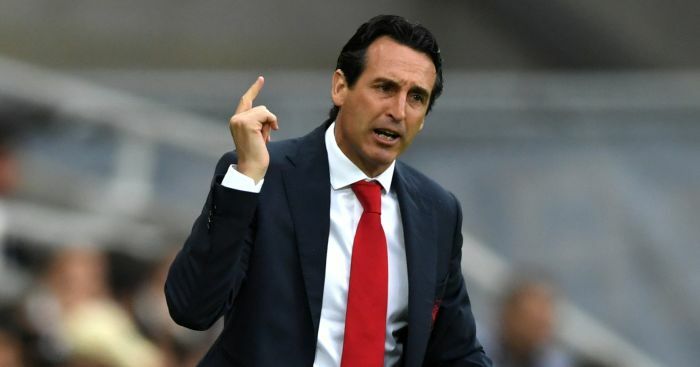 Maybe Unai’s problem is that he isn’t doing it right to mislead the sheep – if he spent more time talking about “financial doping”, bitching about “dizzying wages in football” (while drawing an £8.5m annual salary for himself), constantly mentioned “injuries” (to key rubbish like Diaby, Denilson or Senderos) or blamed the referee for losing a match 10-2 (this happened), then he would get an easier ride. But Emery is taking personal responsibility and I can see how this sits uneasily with the Wenger MAGA crowd. Just reading the John Nicholson article on how unpopular football is on Sky. I always wondered why Sky never just put the Sports package on at no extra charge or some small nominal amount and flooded the market with their services thus enabling them to charge higher fees for advertising. Surely (don’t call me Shirley) the better business plan would be to have as many eyes on Sky Broadcasting as possible and even wickedly increase the price of the drug from then on as opposed to offering a product not suitable to 90% of the population. …I enjoyed Johnny Nic’s first piece about football viewership. I’ve been thinking that the FA should take the NFL route with their redzone channel. 2. Non-football loving partners becoming football widows for the entire weekend. 2. Local pubs etc… could capitalise on this by only showing their hometown team(s) so it’s a chance to bring communities together a bit more. 4. Players not getting as fatigued. These guys are machines that need as little interruption to their schedules as possible. Probably a lot more pro’s and con’s but this is a start off the top of my head. 1 – Those figures, presumably, are BARB data. They look roughly in line with the numbers I’ve seen reported and discussed on the issue. They are utterly insufficient for an argument like this as they don’t factor in (I’m led to believe) multiple people viewing on one set, people viewing in pubs, people viewing on something other than a TV (e.g. iPad, phone, etc)., and people who drop in-and-out of a broadcast. They are designed for programmes like Eastenders, not something like football which is a fundamentally different kind of programming. This means the “true” figures could be 4 or 5 times what’s reported here. Others will know the details better than me, but if you’re going to write an analytical article like this you probably need transparency on the data. Forgive me if you’ve factored this in, but would be good to have it addressed in the second part as it’s interesting. 2 – Sports are a “Trojan Horse” for these suppliers other products. So for example if Sky get you through the door with their football coverage, they then have a relatively easy time converting you on regular TV, wifi, phone, etc. – all of which are products bound by extreme inertia and which will have a lifetime value of thousands. Same for BT. That’s why the value to them is much higher than it would be for say, Facebook, who can’t upsell from it. You can’t calculate their worth on a “per game” basis. 3 – Revenues, it goes without saying, also come from advertising, not just people paying to watch. I don’t know the proportion split, but I would anticipate that advertising is higher then subscriber fees. Compounding this, football viewership, on the whole, is a very “demographically precise” audience that is more valuable to advertisers. For instance if you were Bet365 would you rather advertise to 100 football viewers or 10,000 viewers of Coronation Street? Clearly one audience has far less wastage than the other. So it’s a premium spot. Would be nice to see some of the above addressed before tearing the whole system down. …Let’s be honest, the liklihood of Premier League football returning to the free to air channels of old, that is BBC and ITV is, well, as likely as a Mourniho team playing attractive football. But there is a model in todays media world that does work. If Facebook were to bid for the rights around the world they would generate enough advertising revenue to present them to the supporters for free. We are in Belfast, but buy Facebook adspace in as diverse territories as Australia, the US, Spain, Germany, the Emirates and Egypt. Our client would love to place targeted ads along side the Premier League matches, as their product is largely for a male audience. Thses ads can be micro targeted to cities or parts of cities. Local companies could use the games to get an audience in a particular post code or region all around the world except China and a few others. This would allow FB to generate cash from literally thousands of advertisers, and a single match could deliver them way above the £10m quoted. And it would be free to watch on the telly or a computer or phone. As there wasn’t a great deal of mails in this morning’s mailbox and no Liverpool game, I hope I’m not too late to the party on this one as I really need the mailbox’s help. Going back to the Liverpool vs Leicester match during last week and the Mane through on goal situation. Our pundits and contributors on here suggested Maguire (Slab-head to his mates), should have been sent off. The argument was that although Mane was heading away from goal that his pace was would have seen him outstrip both defenders and head towards goal meaning it was a goal scoring chance. Hence a red card for Maguire. My question is, should a player’s attributes be considered in such a situation? Say for example it was Glenn Murray, would the people that thought it was a red change their mind as Murray wasn’t as fast and probably not have created himself the same goal scoring opportunity that Mane might have. Robbie Savage said “Johnny Evans isn’t catching Mane, no chance. So it’s a red”. So is the red decided on only the pace of each player? Is it the referee supposed to know who would beat who in a foot race? What if it was a European match and a foreign referee? Would Martin Atkinson be expected to know the pace of a Besiktas striker and Fenerbahçe centre back in a Champions League group game? I’m a Liverpool fan but I thought a yellow was the correct decision. I’d love to know the opinion of the mailbox. In regards to Shane’s email relating to the chants directed at Liverpool at the city games its not just Liverpool we chant about. Last year we sang ‘mind the gap’ to Man United, we still sing about a little Argentine’s late exploits in 2012 and make reference to a scousers slip in 2014. The common thing here is that each chant is about our competition, take it as a complement that we do take the challenge that Liverpool are giving us this year quite seriously. 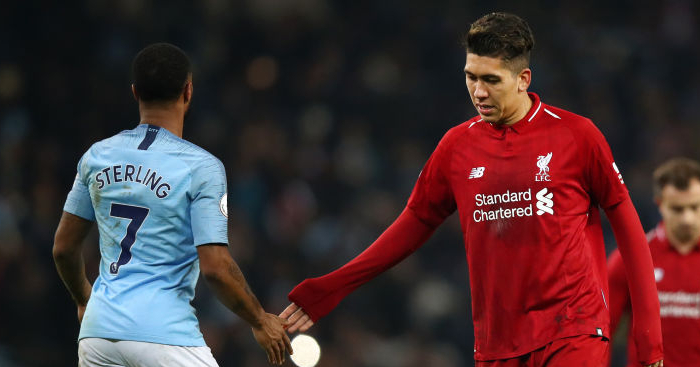 The chant also makes reference to Citys success last year (League and league cup double) so its not a complete slating of Liverpools fortunes but a celebration of our own. I do recall Liverpool fans having a song about how they hate Nottingham forest, everton and United (all in one song too, creative) and several songs about chelsea in the last decade. I think every club has songs about rivals, i think this is just a new, exciting rivalry. If Liverpool were to win the league this year im sure there would be a verse about City in their newest anthem. I know there is already general agreement Paul Ince is a pleb, but his repeated comments about the UTD job have really got under my skin. He could have done what OGS has done at UTD … oh please. I could have been dating Natalie Portman … honestly I could … if only I’d followed my dream to be an actor, lost a couple of stone, had my teeth done, moved to Hollywood … it could have happened. Honestly it could, I just wasn’t given all the breaks I clearly deserve. Ince belongs in history with the other PFMs and their self-entitled, xenophobic, monosyllabic, cliched points of view. Paul mate, you can’t even fill in for Danny Murphy on a Sunday evening without making yourself look like an tool. God only knows what the BBC were thinking upping his screen time, embarrassing all round. David Moore (On the off chance Ms Portman is reading … I’m still willing to give a relationship a go). …I was delighted to see Mediawatch go for the jugular of Paul Ince, after his latest episode of verbal diarrhea – the man is a moron, and deserves to be highlighted as such. Let’s also not forget that Ince is the guy who phyiscally and verbally assaulted a match official in the tunnel at Bloomfield Road in 2013, so he’s definitely the right guy to bring a positive atmosphere to a club. Cards on the table: I am a bit of Steve Bruce fanboy. I actually met him once during his tenure at Wigan Athletic, when he hosted for a of training day for the year 11 football team of the school at which I was working. He ran a proper training session, along with Paul Scharner, and then spent ages afterwards talking to them about football and answering their question. He is genuinely a lovely guy. He’s also done a few decent jobs as a manager over the years but let’s not pull any punches – he’s not the kind of guy who you would reasonably be considering appointing as manager of a top six club. 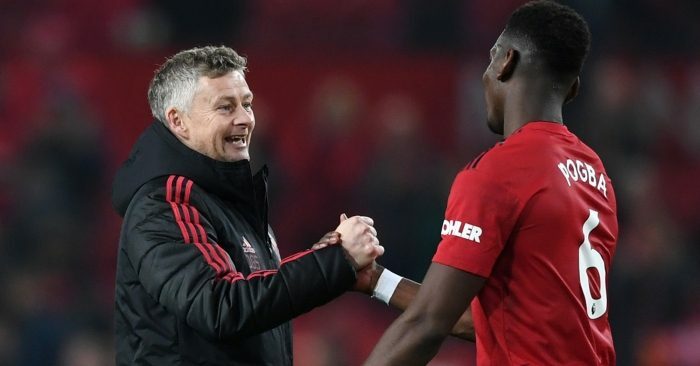 I will admit, there is a little concern starting develop at the continual assertions from Solskjaer that he’s not really doing much other than making the lads feel like world beaters. I’m sure that there’s actually way more to it than that, and I get that he’s probably being humble but if he continues to make out like he’s just letting the players get on with it, without actually imprinting any kind of tactical identity on the team, then he risks looking like a bit of a passenger. That’s not to say that I agree with Ince at all – he, and most of the cohort he named, are absolute disasters of football management. Ince can protest about Ole and the job he’s done all he wants, but this is nothing but sour grapes from a bitter, angry man, trumpeting a bunch of other bitter, angry men because he thinks the world owes them something. The longer Ince, Hughes and co. remain out of work in the world of football, the better. Has Aguero re-defined the perfect hat-trick? This is clearly much harder than the old definition. This weekend I bought the most expensive bottle of beer I’ve ever had. I’d say it was worth every penny but it meant going into a pub filled with braying hoo-rays watching rugby union, which is never a fun experience. *I quite enjoyed the football this weekend. To most teams Crystal Palace’s win against a struggling Fulham would be in the box marked “regulation”, but that just made it more likely the Eagles would lose. It seemed like an interesting match on paper – Fulham’s poor defence against Palace’s struggling attack forced to play without its best player, with the potential of seeing two of the hottest prospects (Ryan Sessegnon and Aaron Wan-Bissaka) going head to head. *Perhaps taking inspiration from Ole Gunnar Solskjaer’s use of Romelu Lukaku against the Arsenal, Roy Hodgson lined up Palace in a 4-3-3, with Christian Benteke as a wide(ish) forward and Jordan Ayew in the centre. However, Benteke was able to move across the front line, typically moving to the back post for crosses – both the penalty award he was involved in and his bicycle kick against the bar came from this position. Although he didn’t score (stop it, you at the back), he had a good game. *Hodgson found a new system that worked, but will face a selection headache for the next game . Wilfried Zaha is back from suspension, Connor Wickham didn’t even make the matchday squad on Saturday but impressed against Tottenham, and Michy Batshuayi made a good first impression after he came on for the Cottagers. *I think it was Steven Chicken who put it best when he said that Wan-Bissaka is absolutely amazing, but Palace fans have known this for a while. 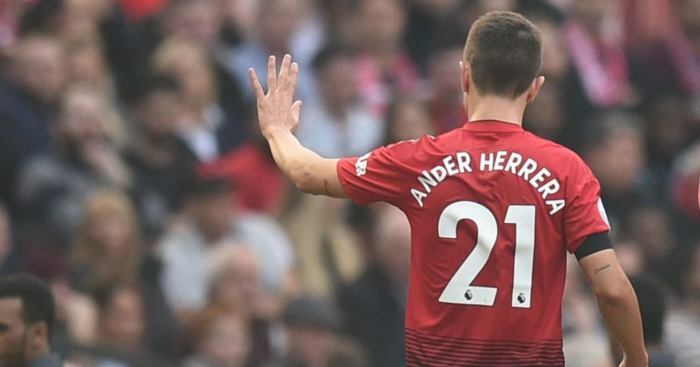 You can tell he’s the business because journalist fan boys for Manchester clubs are starting to gossip about Wan-Bissaka moving to the North West, encouraging those teams’ fans to do their best Veruca Salt impressions and scream at their clubs that “I don’t want any full-back, Daddy, I want THEIR full-back, and I want him NOW”. *Congratulations to Ashley Barnes for his dedication to upholding the spirit of the game, by profanely screaming in the faces of two officials for a decision he disagreed with, something that is perfectly acceptable and nowhere near as heinous as sarcastically applauding. *You heard it here first: expect Kevin Nolan to be unveiled as the manager of a lower league club any moment. His assistant from previous endeavours, Richard Thomas, resigned as Grantham Town manager after Saturday’s defeat to fellow strugglers Workington, with the Gingerbreads’ statement indicating Thomas had accepted an offer to return to the professional game. Things are not exactly going swimmingly for Grantham at the moment. Thomas’s replacement is a joint-management team from Step 6, described by the club as “exciting”. We shall see. Who on earth says “Sunday dinner”? It’s “Sunday lunch” or “Sunday roast”. With Moussa Dembele scoring in Lyon’s ‘shock’ 2-1 defeat of PSG, Ousmanne Dembele a major doubt for Barcelona to feature against Real in the Copa Del Rey Semi-final, Mousa Dembele still finding his feet in China, isn’t it about time F365 brought back the quietly popular but now rested “Dembele of the Week” feature?